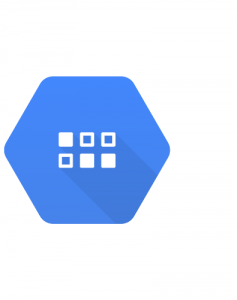 Announcing our Google Cloud Partnership - A.Y. Technologies Inc.
We are very excited to announce our partnership with Google as Google Cloud Platform’s Service Partner. As an official partner, we offer our services and expertise to help Google’s sales team and their prospects. Now, in addition to our loyal customers, the Google’s sales team is going to connect us with prospects. You can check out our Google Cloud Partner’s page here. Using Google Cloud’s infrastructure and support, we can help our clients build a scalable and reliable mobile and web application. Our experience with Google Cloud Platform so far was nothing short of an absolute delight. We helped our clients build innovative apps on Google Cloud platform in the past, and we are going to continue doing that in the future. Partner Sandbox Credit: We get up to $2500 GCP credit from Google to build proof of concepts for our clients on Google Cloud Platform. $500 GCP credit: If you sign up to Google Cloud Platform through us, you get $500 GCP credit to use as free trial. Are you interested in our services and our partnership with Google Cloud and want to use these perks? Please get in touch with us. Google App Engine is a platform for building scalable web applications and mobile backends. App Engine will scale your application automatically in response to the amount of traffic it receives so you only pay for the resources you use. Based on Google Compute Engine, the App Engine flexible environment automatically scales your app up and down while balancing the load. In addition, the App Engine flexible environment allows you to customize your runtime and even the operating system of your virtual machine using Dockerfiles. 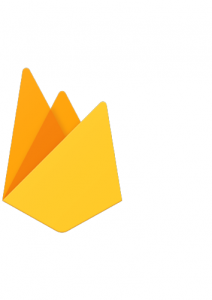 Firebase is a mobile platform that helps you quickly develop high-quality apps, grow your user base, and earn more money. It’s made up of complementary features that you can mix-and-match to fit your needs. Cloud SQL is a fully-managed database service that makes it easy to set up, maintain, manage, and administer your relational MySQL databases on Google Cloud Platform. Cloud Datastore is a NoSQL document database built for automatic scaling, high performance, and ease of application development. Cloud Storage is unified object storage for developers and enterprises, from live data serving to data analytics/ML to data archiving.